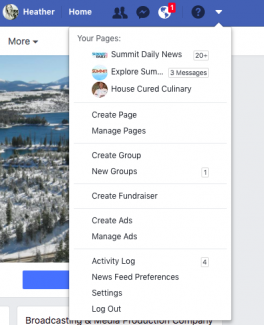 On Jan. 11, Facebook announced it was making big changes to its news feed to show users more content from friends and family over what it calls “passive content” — videos or articles that ask a user to just sit back and watch or read. Posts from businesses, brands and media are expected to have less of a reach unless shared or engaged with by friends and family. “We feel a responsibility to make sure our services aren’t just fun to use, but also good for people’s well-being,” said Mark Zuckerberg, the company’s chief executive, in a post describing the change. We at the Summit Daily News believe it is our responsibility to provide our community with the most up-to-date information when it comes to what’s happening in our county. We believe staying informed is good for people’s well-being, and social media has become a useful tool to engage with readers and quickly distribute information. We expect this Facebook change to affect the way our readers see articles on the social channel. 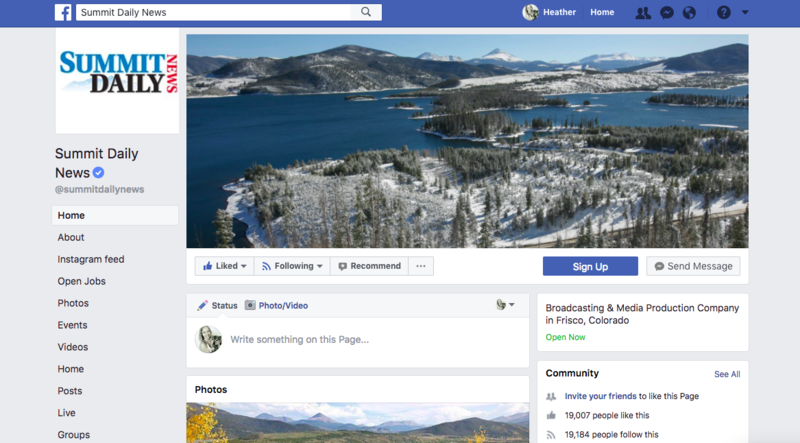 Whether you are a longtime local, second-home owner, or just visit once in awhile and you appreciate receiving news local to Summit County, there are still plenty of ways to get your news. 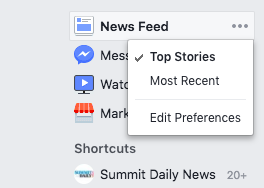 And if you want to continue to see posts from the Summit Daily in your Facebook News Feed, you can also make a quick adjustment to prioritize what you see (instructions below). The Summit Daily offers a morning newsletter that will update you Monday through Friday on the most current local news. We also offer a weekend entertainment guide, and a breaking newsletter that we will only send when there is urgent news to report. You can sign up on our homepage, or click here. 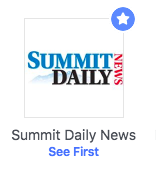 We are also on Twitter — @SummitDailyNews — and Instagram — @exploresummit. 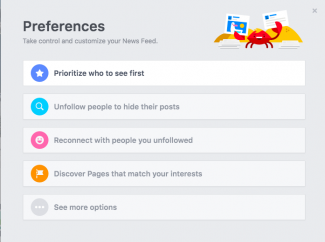 From here, click “prioritize who to see first” and choose what pages and friends you’d like to appear at the top of your news feed. Click “home” at the top of Facebook. Hover over the news feed tab in the left side menu and click “…” Select most recent. Think a story is important? Engage with it — like (good), comment (better) and share (even better). It’s the best way to get articles in front of more eyes. As Facebook moves to implement these changes, we hope that you will continue to consume local news, however you choose to do it. Heather Jarvis is the digital engagement editor for Summit Daily News.